Th-INK-ing of You: A special pre-release you won't want to miss! 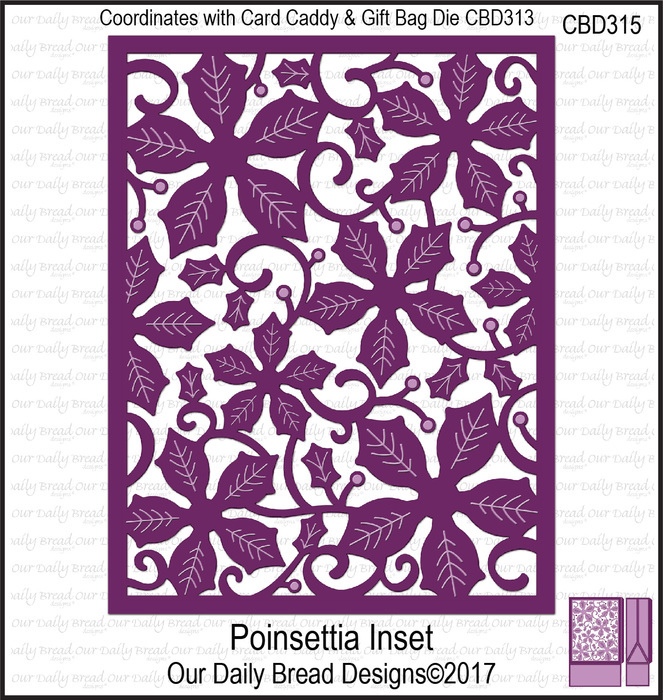 To help you get a jump start on your Holiday Gift Giving, Our Daily Bread Designs is excited to offer a Pre-Order Bundle on the following products that we are releasing on December 1, 2017! 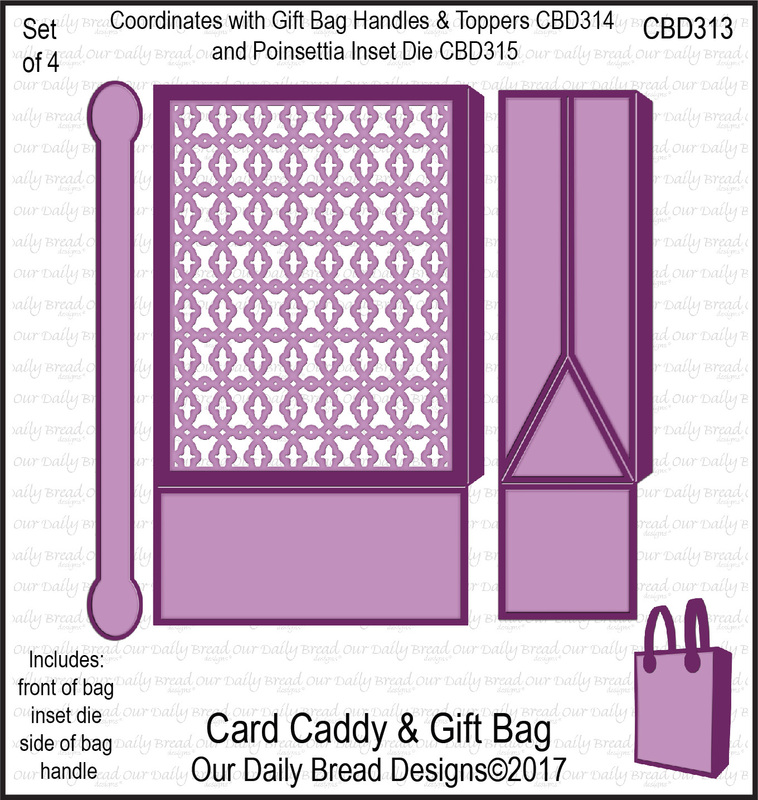 The Card Caddy & Gift Bag Pre-Order Bundle includes the following products: Card Caddy & Gift Bag Die, Gift Bag Handles & Topper Dies, Poinsettia Inset Die and a BONUS $5.00 ODBD Gift Code. 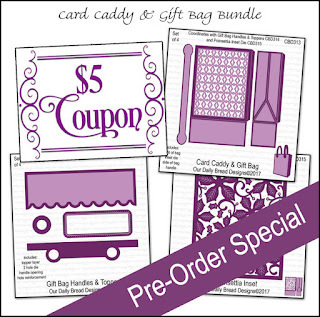 This special Pre-Order Bundle is shipping immediately and available for purchase through November 20, 2017! I used the new new Card Caddy & Gift Bag die as well as the Gift Bag Handles & Toppers set and the Poinsettia Insert. I also am giving you a sneak peek at a new stamp/die duo (called White as Snow) coming on Dec. 1, but it's only a little peek! 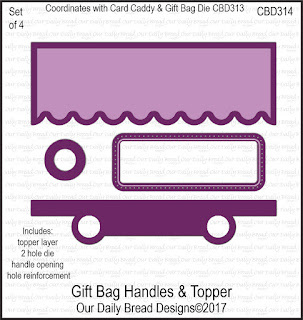 The dies to create this adorable gift bag or card caddy are available NOW at bundle pricing, and will ship immediately! 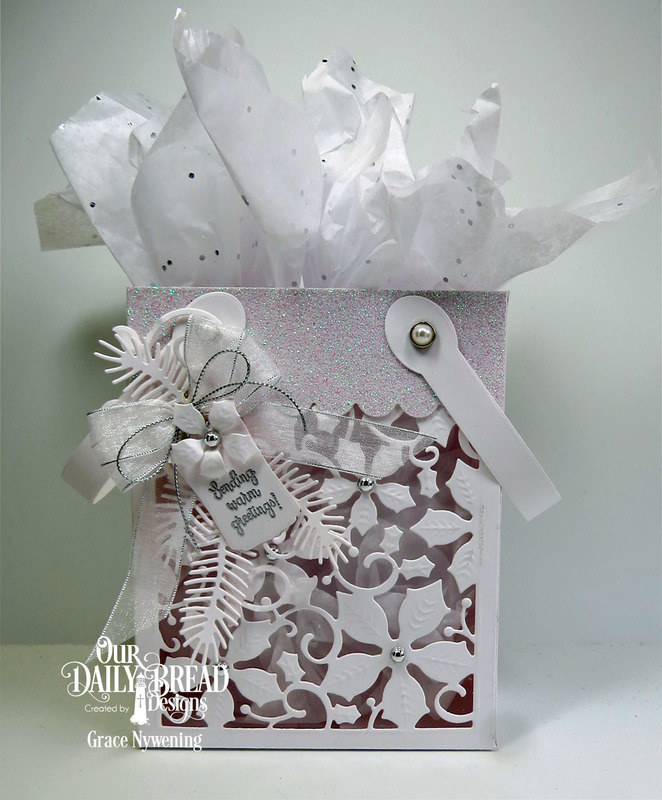 Additionally I used past releases: Peaceful Poinsettias, Fancy Foliage, Pine Branches, and Mini Tags. 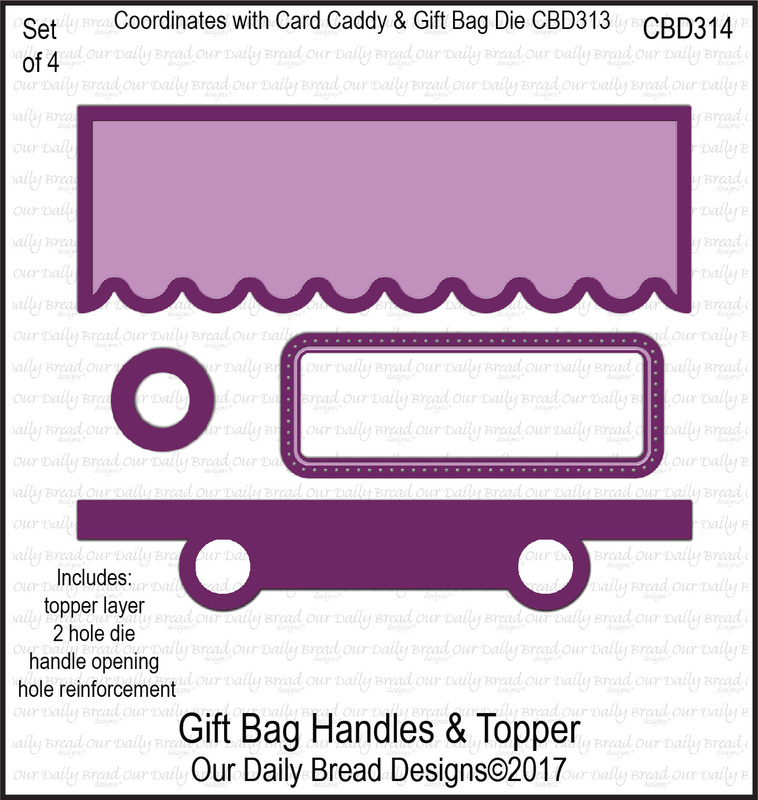 For more inspiration using the Card Caddy & Gift Bag Pre-Order Bundle visit Our Daily Bread Designs Blog. 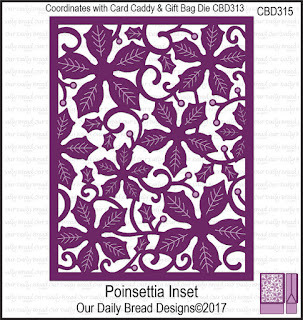 Blessings and my Best Wishes for a Happy Thanksgiving! I just found you on Pinterest and I really love your style. you are just amazing , this is beautiful.